A stylish restaurant in Prague’s Troja, with its own winery, distillery and suite accommodation. On Salabka they provide a lunch menu, evening à la carte and picnics in the vineyard, themed events and own vintage wine tasting. The seasonal wine-tasting menu is based on traditional recipes, but with due regard to present-day culinary trends. 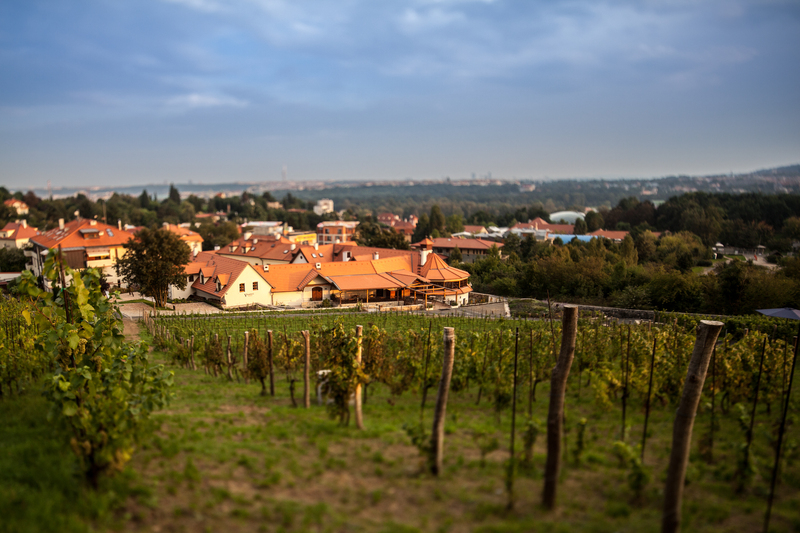 When you visit, make sure you don’t miss out on tasting some of the 15 wines from the local vineyards or the spirits distilled in the Salabka distillery – the first of its kind in Prague. The vineyards are part of the private Winery and restaurant Salabka, which recently restarted its activities. The vineyards here extend over 4 hectares and the wine production is around 18 thousand bottles a year. In addition to the original plantings of Riesling the vineyard’s varieties include Pinot Noir, Müller-Thurgau, Scheurebe, Pinot Blanc, Hibernal, Neronet and Tintet.